For many people, Spring is a much anticipated breath of fresh air. Winter has it’s lovely, cosy, snuggling moments, but there is something truly magical about that first proper Spring day after a long winter: the first day that you transition from long sleeves to short sleeves, long pants to shorts. It’s the digging out of last year’s sandals and thongs from the bottom of your shoe cupboard, and the searching for your children’s summer hats. Outdoor activities once again dominate over indoor ones, and old interests are rekindled: picnics over cafes, days spent at a park instead of an indoor play centre, and the beach chosen over a shopping centre. And when people venture outdoors they tend to take their cameras with them, sparking a renewed interest in Spring photography. When you can’t help but want to capture the fun Spring activities that you’re currently enjoying, our list of Spring photography ideas will help you to get the photos you’re looking for. Just because the days are getting warmer doesn’t mean there won’t still be the occasional rain shower, but there’s no reason to not get out there and enjoy it. Kids love nothing more than “jumping up and down in muddy puddles” (as a famous television piggie likes to put it!) 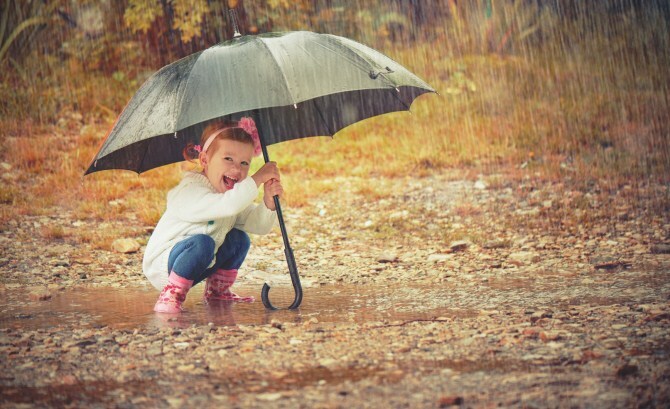 so slip on the rain boots and let your kids splash around to their hearts’ content. Sure, you’ll have some cleaning up to do afterwards, but most of the mud will be localised on their boots and the rest you can leave outside – right where you found it – so as far as messy outdoor activities go, this is a fairly straightforward one. The kids will be so happy and mesmerised by what they’re doing that they won’t even notice you snapping away with your camera, and you’re sure to get some fantastic, carefree images of your children doing what kids do best. Similarly to jumping in puddles with rain boots on, another brilliant way to capture your children at their most natural, fun filled and carefree is to let them loose with some bubble mixture. Something seems to come over children when they are around bubbles, and even older children find themselves unable to resist jumping around and trying to pop or catch as many as they can. 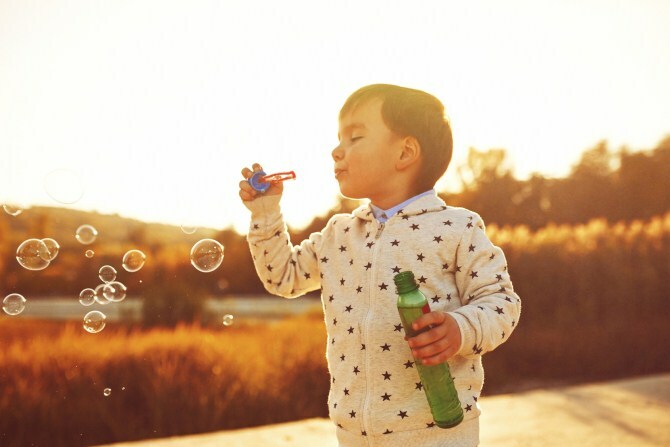 Time your bubble expedition with perfect outdoor natural sunlight, and you’re sure to catch some beautiful photos while your children are busy catching bubbles. Most people love a good swing. 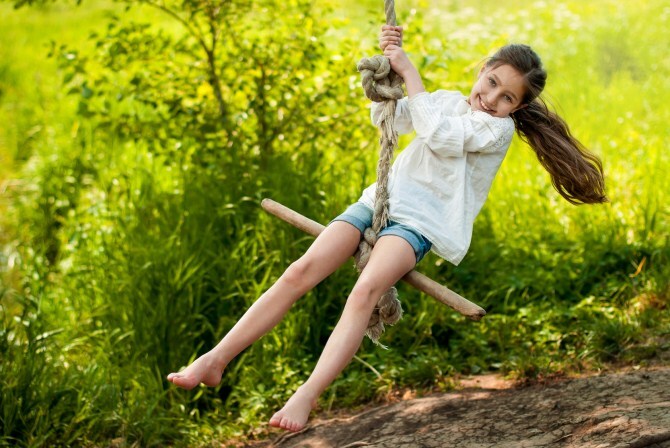 Whether it’s a home-made swing or a tyre swing hanging from a low branch, or one of those metal and rubber contraptions at your local park, swinging is always good fun and lends itself to some fantastic Spring photography ideas. Keep in mind that playing on a swing is not solely the domain of children, and it doesn’t have to be a solo activity either: grab your loved one and tell them to “meet me at the swings,” and relive your childhood in a natural, genuine way. Flowers are synonymous with Spring, so add some flowers to your photo shoot to give it that perfect touch of Spring happiness. 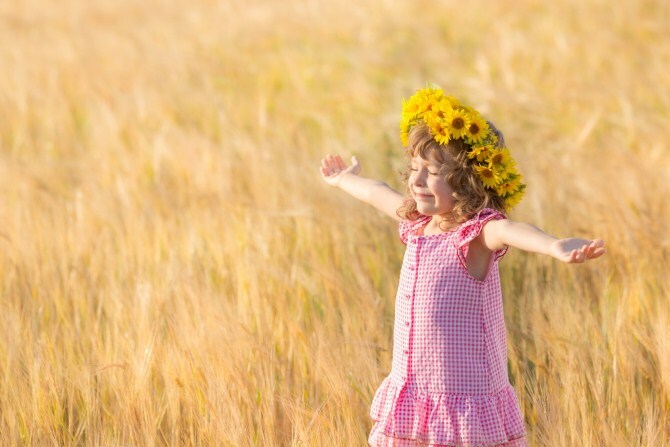 Flowers can be added in so many different ways: decorating a child’s hair, or as a colourful backdrop, or even as a prop showing the love between two people. Experiment with flowers, and you’ll find that the simple addition of even the most basic flowers will turn what would otherwise have been an everyday photo into a Spring sensation. We love this comprehensive tutorial on how to make a flower halo headpiece. Lambs are famously born in the Spring, and Spring is often associated with new life and baby animals. 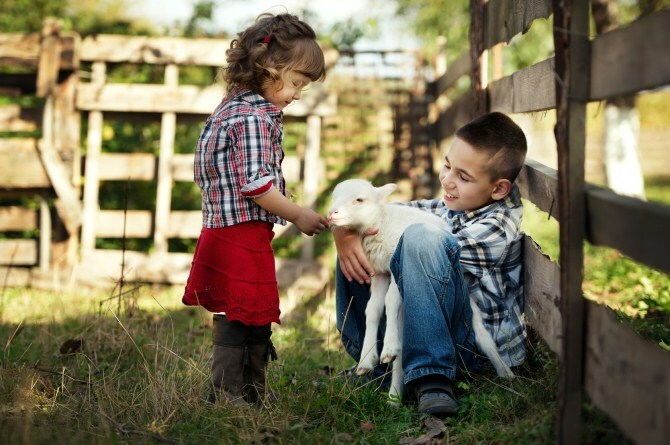 Even if you don’t have a farm handy, a trip to a local petting zoo will give you the opportunity to take some photos of your family with newborn animals. Add some flowers to the scene, have a backdrop of a lovely green field, and your Spring photography creates itself. This idea is a little more complicated, but if you’re looking to experiment and you have some professional photography gear and a trampoline handy, the end result is stunning and effective. With the right combination of camera angle, lighting, and a beautiful blue sky with just the right amount of clouds, the end result looks like the person is floating up into the sky with their balloons. 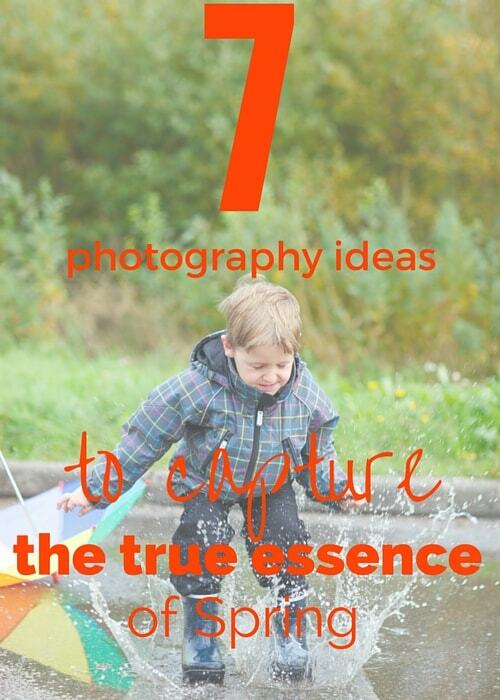 This photography idea lends itself perfectly to children, but need not be the sole domain of the young. Anyone adventurous enough to let loose on a trampoline could produce some amazing end result photos. See the full tutorial here. Spring isn’t just about outdoor fun, flowers blooming, and baby animals being born: many families use the start of Spring as the motivation to do some serious Spring cleaning. Clutter tends to accumulate at an astonishing rate, and even more so during the winter months when indoor activities are in full force and free time is more likely to be spent in a shopping centre than at an activity. 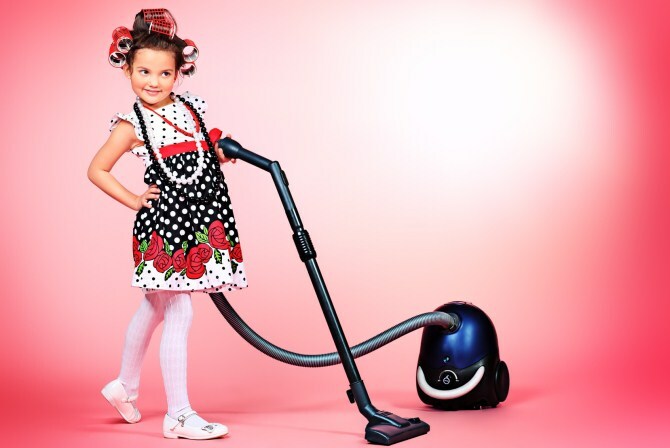 Turn your Spring cleaning endeavour into a photo shoot opportunity by having everyone in matching brightly coloured rubber gloves, and getting the kids operating (or attempting to operate) some oversized cleaning equipment such as the vacuum cleaner or the long feather duster. The end result will be photos that showcase another side of Spring, while also capturing your family in their natural environment. By now you should have some exciting ideas for your Spring photo shoot: hopefully ones that the rest of your family will be as excited about as you are. Once you’ve chosen your favourite photography idea and taken those perfect shots, the next step is to turn them into timeless wall art for your home by having them professionally printed on to canvas.